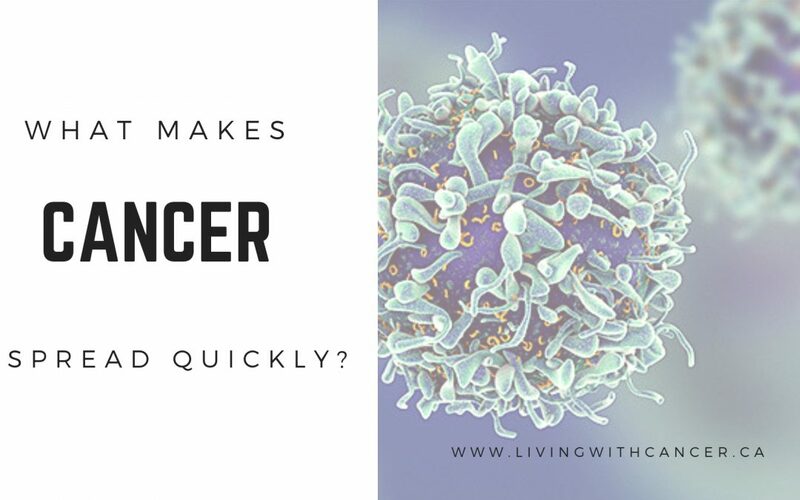 One of the more astonishing cancer factors is the rapid rate it can spread. Certain cancers, such as pancreatic tumors and others, are notoriously fast-spreading. Many theories exist as to the reasons that contribute to the fast spread of cancer-related tumors. Some are based on suspicion and myth. Other theories have extensive scientific studies to help patients and physicians understand how the body and mind work in synchronicity. Here are a few reasons that contribute to cancer’s growth, as well as things that do not make cancer spread rapidly. Are Biopsies What Makes Cancer Spread Quickly? This is a long-standing belief among many patients and even physicians that has no validity to it. According to the Mayo Clinic, several studies show that a biopsy holds no risk of spreading disease. Furthermore, the risks of not obtaining a biopsy allow cancer to spread at a greater rate than it does in patients who had a biopsy. An 11-year study of patients with pancreatic cancer showed those who had biopsies lived an average of 22 months, as opposed to 15 months for patients who did not undergo a biopsy. Researchers speculate that this myth originated many years ago when obtaining a biopsy involved very invasive methods using improperly sterilized instruments and performed by technicians who had little skills or knowledge about proper techniques. Cancer is the same thing as a tumor. Not all tumors are cancerous, but all cancers are tumors. Tumors are a group of cells that gather somewhere they do not belong in the body. If the right conditions exist, those cells multiply until a membrane holds them in. Under the right circumstances, cancer tumor cells break out of that membrane and look for paths to other body parts, so they can spread further. The body’s lymph node system is the human version of a rapid transit system. Lymph nodes have hubs, like a subway transfer station, that carry good and bad things throughout the body. Certain cancers have better access to this transit system than other cancer cells. Better access to the body’s transit system means cancer spreads quickly. Chronic Stress Contributes to Spreading Cancer pidly. According to the National Institute of Health, chronic stress plays a significant role in how quickly cancer may spread. Cortisol is a substance that plays a major role in a person’s ability to survive in life. Extensive studies show that when someone remains under chronic stress it adversely affects the body’s cortisol levels. Hormones affected by the pituitary gland and the sympathetic nervous system undergo constant stimulation when someone is pressured and stressed. Biologically, overactive hormones tend to feed tumors. When cancer-related tumors have fuel, they grow and spread just like everything does in nature. Plants and yeast do the same thing with a positive outcome. However, providing fuel to cancer cells has negative consequences. Subsequently, anything a patient and those around them can do to reduce their chronic stress can help lower the hormones feeding cancer cells. Cancer tends to spread faster in people who already had poor health. Furthermore, diet plays a fact in how quickly cancer spreads. Obesity plays a role in allowing cancer to spread at a quicker rate than it might in someone who maintains a healthy weight.